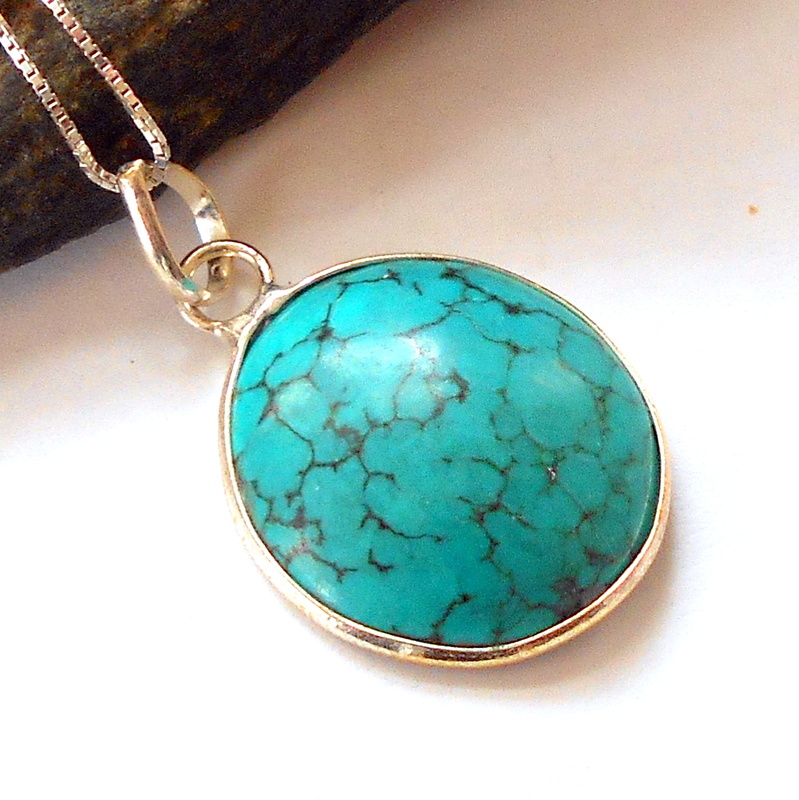 A turquoise stone finished in a sterling silver necklace. 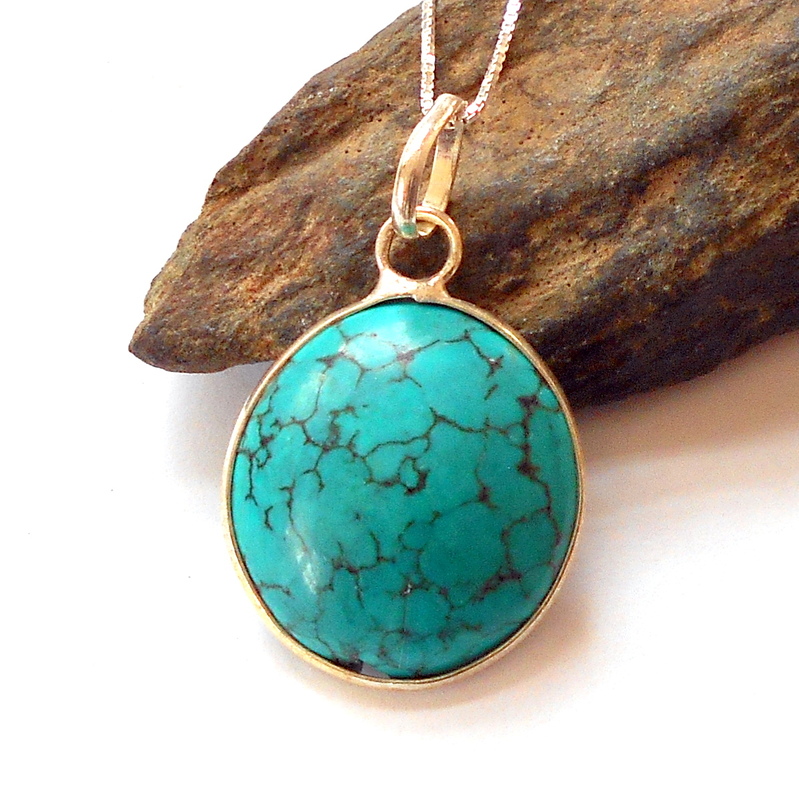 Turquoise is the stone of magic and wisdom. It is the stone of wholeness and truth, a stone of self-forgiveness, self-acceptance, and release of useless regrets. 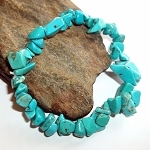 It carries powerful spiritual properties that align themselves to the wearer. 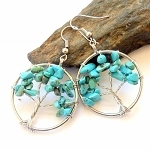 It is a very personal stone. 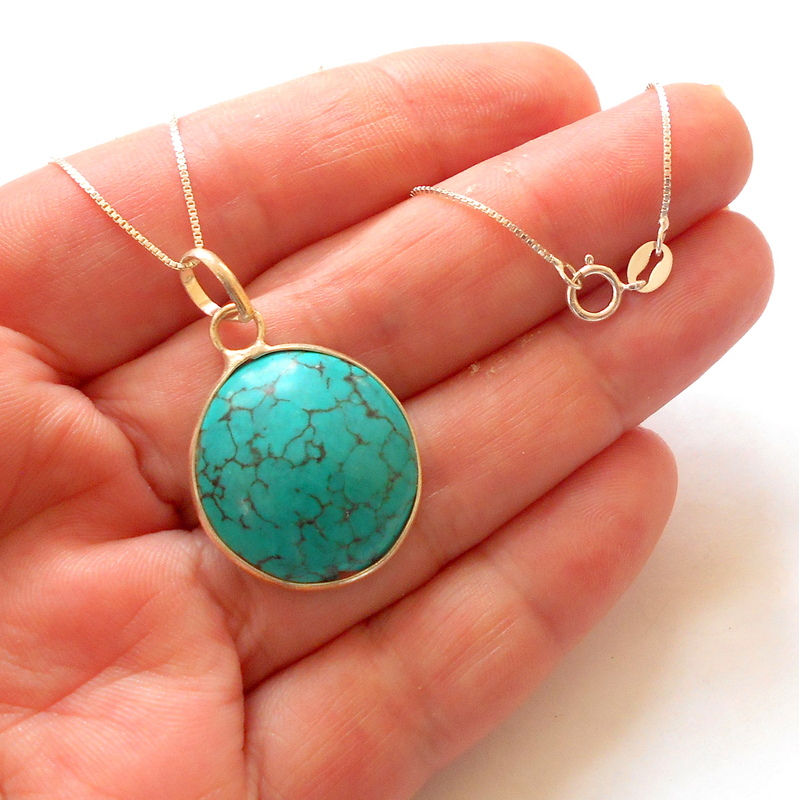 When a turquoise stone is held by its owner, it becomes part of that person.